A great character building activity for every age! 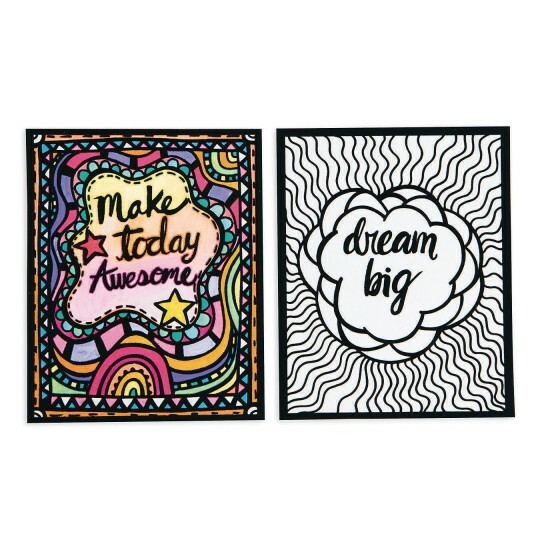 Each card stock poster measures 8" x 10"
A great character building activity for every age! 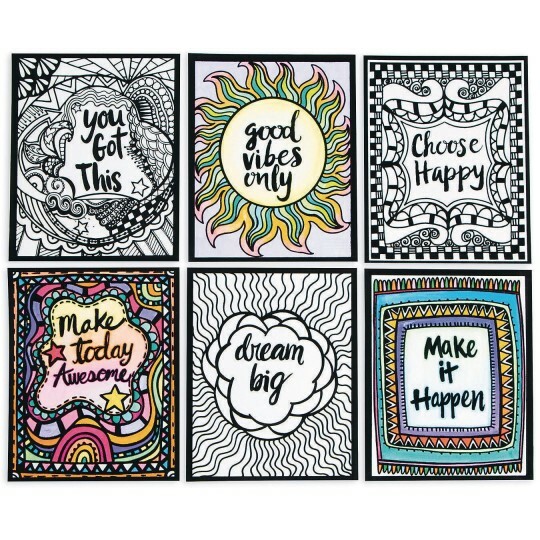 Encourage everyone to “think positive” as they color these velvet art posters with inspirational phrases. 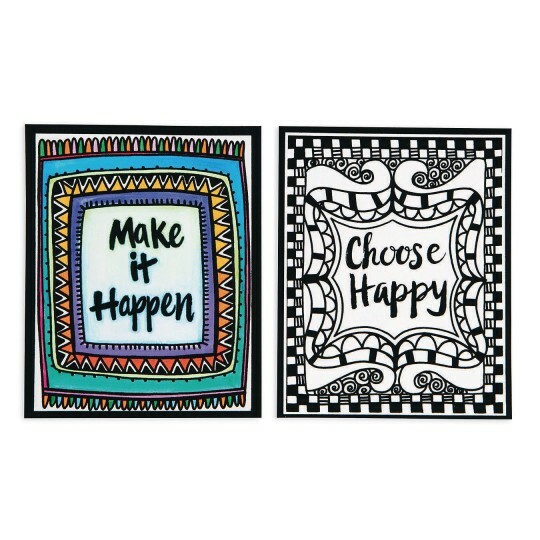 Color with markers, colored pencils, or crayons (sold separately). 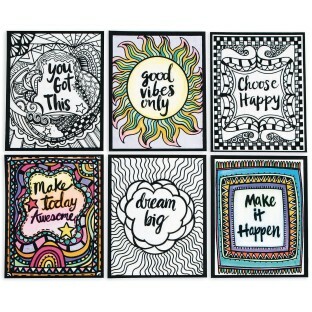 4 each of 6 designs. 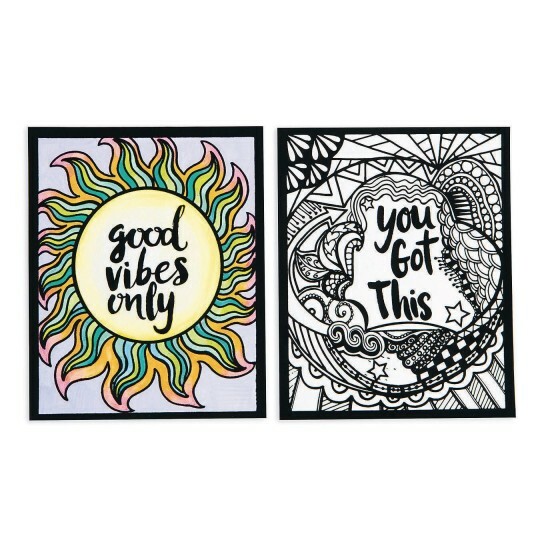 Card stock posters are 8” x 10”.